President Donald Trump said on Sunday he would delay an increase in US tariffs on Chinese goods thanks to "productive" trade talks and that he and Chinese President Xi Jinping would meet to seal a deal if progress continued. The announcement was the clearest sign yet that China and the United States are closing in on a deal to end a months-long trade war that has slowed global growth and disrupted markets. Trump had planned to raise tariffs to 25 percent from 10 percent on $200 billion worth of Chinese imports into the United States if an agreement between the world's two largest economies were not reached by Friday. After a week of talks that extended into the weekend, Trump said those tariffs would not go up for now. In a tweet, he said progress had been made in divisive areas including intellectual property protection, technology transfers, agriculture, services and currency. As a result, he said: "I will be delaying the U.S. increase in tariffs now scheduled for March 1. Assuming both sides make additional progress, we will be planning a Summit for President Xi and myself, at Mar-a-Lago, to conclude an agreement. A very good weekend for U.S. & China!" Mar-a-Lago is the president's property in Florida, where the two men have met before. The president did not set a new deadline for the talks to conclude, but he told U.S. state governors gathered at the White House that there could be "very big news over the next week or two" if all went well in the negotiations. The White House did not provide specific details on the kind of progress that had been made. China's official Xinhua news agency reported that the two sides made "substantial progress" on specific issues, citing the Chinese delegation in Washington. Trump and Xi called a 90-day truce last year to give their advisers time to negotiate a deal. The threat of tariff increases represented significant leverage for the Trump team. "We can't be sure whether this constitutes a major cave or success because we don't know the details of what has been negotiated. But ... agreeing to extend negotiations a few more weeks definitely is in China's interests," said Scott Kennedy, a China expert at the Center for Strategic and International Studies in Washington. "At this point, the U.S. has likely gotten all it's going to get out of China." J.P. Morgan Asset Management market strategist Tai Hui said the move suggested both sides wanted a settlement of the dispute and added that further tariff escalation would have added to concerns about the U.S. growth outlook. Markets, which have been sensitive to the dispute as it has slowed global growth, and some U.S. trade associations cheered Trump's move. U.S. equity index futures opened higher on Sunday evening as trading kicked off for the week. S&P 500 e-mini futures ticked higher after Trump's tweets on trade, suggesting Wall Street would open on positive footing on Monday morning. Asian shares scaled a five-month high and the Australian dollar, a proxy for China investments, got a 0.4 percent lift from the news. Chinese stocks and the yuan jumped at the start of trade, with the benchmark Shanghai Composite index up 2.1 percent, its highest since Aug. 1, and the yuan hit its strongest level against the dollar since July 17. Trump leaves on Monday for Vietnam, where he will hold a summit with North Korean leader Kim Jong Un. The president, who faces a re-election battle next year, has portrayed his engagement with Kim and forcefulness with China as key successes of his presidency. Trump said on Friday there was a "good chance" a deal would emerge. But his lead trade negotiator, U.S. Trade Representative Robert Lighthizer, emphasized then that some major hurdles remained. Lighthizer has been a key voice in pushing China to make structural reforms. China's negotiators stayed for the weekend and the two sides discussed the thorny issue of how to enforce a potential trade deal on Sunday, according to a person familiar with the talks. Tariffs and commodities were also on Sunday's agenda, he said. 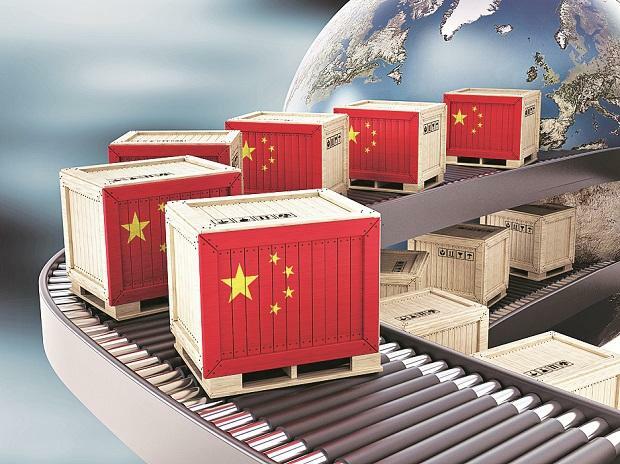 Negotiators have been seeking to iron out differences on changes to China's treatment of state-owned enterprises, subsidies, forced technology transfers and cyber theft. Washington wants a strong enforcement mechanism to ensure that Chinese reform commitments are followed through to completion, while Beijing has insisted on what it called a "fair and objective" process. Another source briefed on the talks said that enforcement remained a major sticking point as of Saturday. Reuters reported on Wednesday that both sides were drafting memorandums of understanding (MOUs) on cyber theft, intellectual property rights, services, agriculture and non-tariff barriers to trade, including subsidies. Trump said he did not like MOUs because they are short-term, and he wanted a long-term deal. That sparked a back-and-forth with Lighthizer, who argued that MOUs were binding contracts, before saying they would abandon the term altogether going forward. The source familiar with the talks played down the apparent tension between the top trade negotiator and the president, saying Trump, a former New York businessman, had viewed MOUs from a real estate perspective, while Lighthizer had done so from a trade perspective. There was no daylight between the two men, the source said. At the White House event with governors on Sunday, Trump said Lighthizer was doing a "fantastic" job.